We've got your first few days all sewn up. 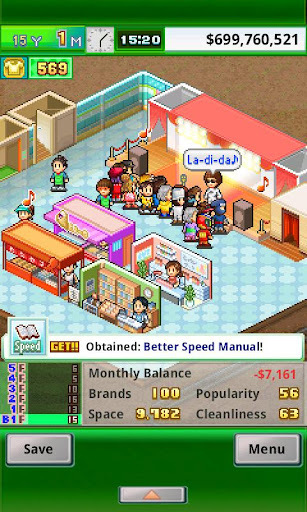 Kairosoft's latest micro-management masterpiece Pocket Clothier is almost certainly the deepest yet, and in the early days it can be easy to get overwhelmed with all of the information at hand. We've put together a few simple pointers to get you over the first hurdles. 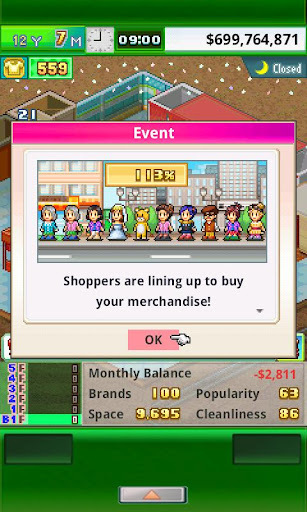 The first thing you should do when starting the game is hire at least one more member of staff to keep business ticking over while you upgrade your store. Pay close attention to the salary required to hire each staff member, as well as their personal stats before hiring. You can use the medals you've earned to improve your staff's performance, but be warned that the better they are at their job, then the more they'll want from you in their salary. If you're lucky, at some point you'll unlock the 'Headhunter' skill which is incredibly useful and increases your ability to hire quality staff. If you haven't got stock, you've got nothing to sell. If you've got nothing to sell then your shop's going nowhere and you won't be able to expand. Using store-rooms is a great way to make sure you always have plenty of clothing to sell. 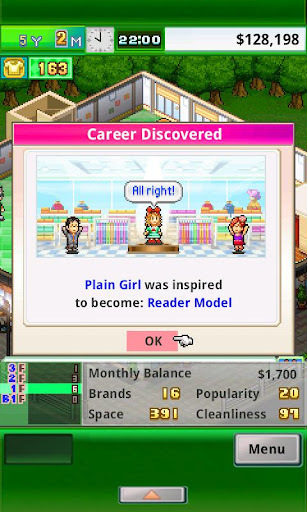 Experiment with the auto-stock options whenever you take on a new type of clothing, and find a level of re-supply that matches up roughly with ongoing demand. Bear in mind too that the more stock you sell from a particular vendor, the better relationship you'll have with them. Become popular enough with a vendor and you'll gain access to new items that will be in high-demand. Sometimes it's better to play the long-game and get close to a vendor, rather than taking the quick profit. It's important to understand that how you lay your store out is critical in determining how successful the shop will be. It's important to check the information panels of all fittings. shelves and upgrades carefully, making sure that any 'compatible' items are placed appropriately with each other for maximum success. There are far too many combinations to go into in our starter guide, suffice to say that doing your homework within the game, reading up on the different upgrade attributes, and growing your enterprise smartly will be far more profitable in the long run. Don't rush to expand the store. 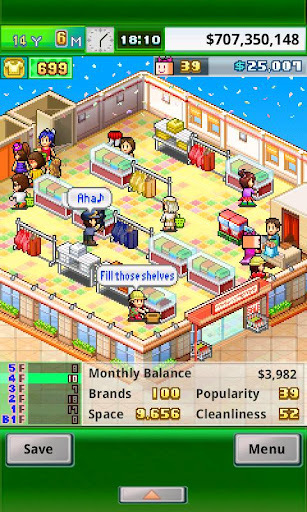 Once you've fitted out both floors of your shop, you'll be asked if you wish to pile even more levels on top! Don't feel you have to take this on until you fully understand the game's systems and have a slickly running setup.